Do you love trousers? 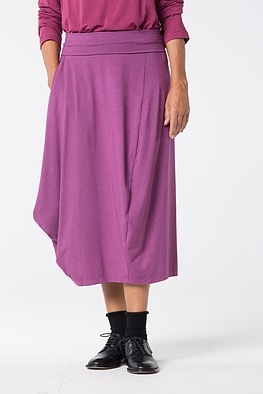 You might rethink your position and leave them in your wardrobe because of this OSKA skirt. It has many advantages: it is super comfortable, can be combined with all kinds of tops and has a moderate, pleasantly feminine O-shaped silhouette. 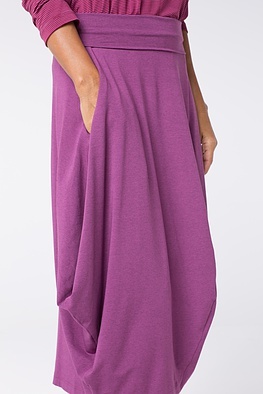 An asymmetrical drapé effect and the decorative long seam are beautiful eye-catching details. 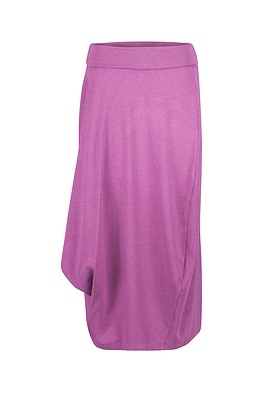 The broad all-round elastic waistband, which can be turned up variably, offers a lot of wearing comfort at the waist. 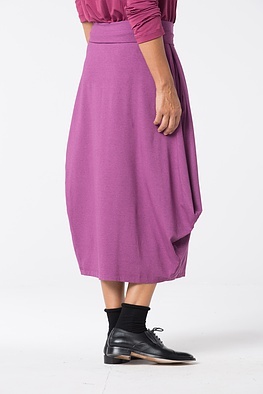 One pocket rounds off this skirt. Our model is 1,78 meters tall (5,8 feet) and wears size 2.